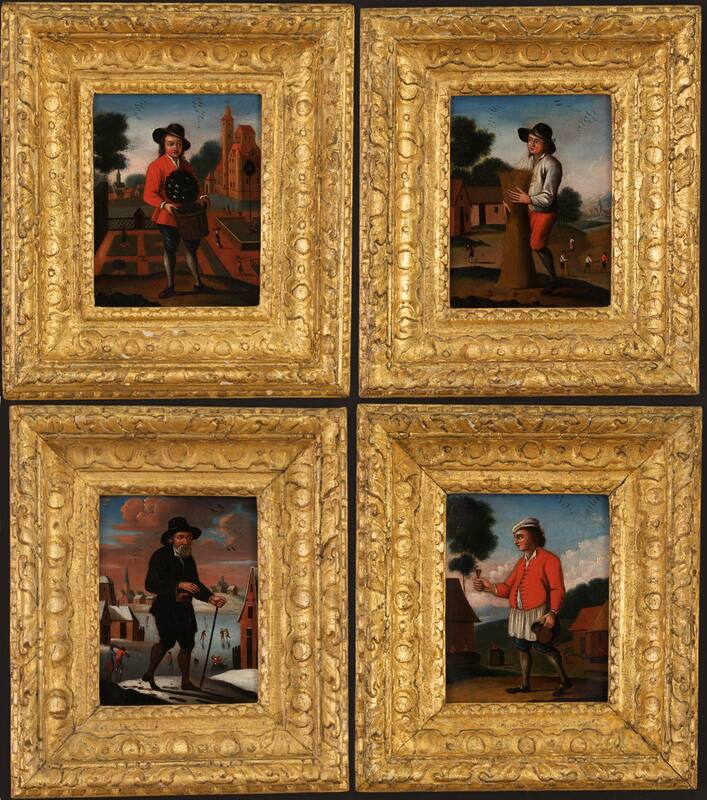 The Four Seasons, a charming English version of the works by David Teniers the Younger, painted oil on copper. circa 1700 and in period carved gilt-wood frames. Inscribed to the reverse in script, 'Spring, Summer, Autumn, Winter'.